On Friday, February 2, 2018, at approximately 1:45 p.m. the Monroe County Correctional Facility was notified that an inmate, James Arthur Bock, 45, of Stroudsburg, was being returned to the facility from a special furlough. Bock was being transported by private passenger van. While travelling on Route 33 near the Snydersville exit, Bock escaped from the transport vehicle. 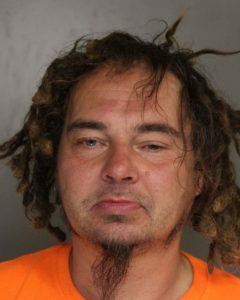 The Pennsylvania State Police at Stroudsburg and Monroe County Detectives responded to the correctional facility and began a search of the area in an attempt to locate Bock. County Detectives obtained an arrest warrant for Bock from Magisterial District Judge Daniel Kresge on charges of Escape, a felony, and Flight to Avoid Apprehension, Trial or Punishment, a misdemeanor. Knowing that Bock frequents the Stroudsburg area, investigators notified the Stroud Area Regional Police Department of the incident and requested that they be on the lookout for Bock. On Saturday, February 3, officers from the Stroud Area Regional Police Department encountered Bock and took him into custody. Bock was lodged at the Monroe County Correctional Facility and arraigned. Bail was set at $75,000 on the new charges. A preliminary hearing is tentatively scheduled for February 16, 2018, at 10:00 A.M., before Magisterial District Judge C. Daniel Higgins.